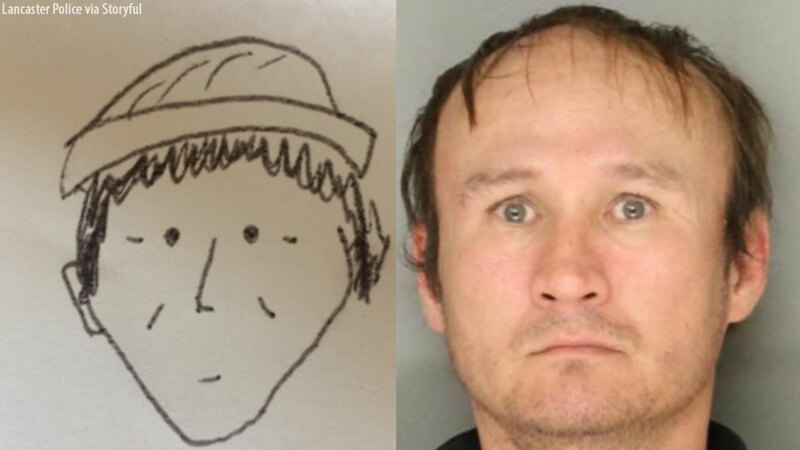 LANCASTER, Pennsylvania -- Police in Lancaster, Pennsylvania used an 'amateurish and cartoonish' sketch to help them identify a robbery suspect on January 30, 2018. A man was seen impersonating an employee and taking cash from a stand in the local market. He then left the area on foot. After the incident, a witness provided police with an amateur sketch of the suspect. The sketch is not very detailed, but it was enough to jog the memory of one police officer, who thought of the name of a potential suspect. When the witness was shown a photo of Hung Phuoc Nguyen, he was positively identified. Lancaster Police are now searching for Nguyen. Anyone who knows the current whereabouts of Nguyen is asked to contact Lancaster Police at 717-735-3300.